Jaguza livestock App aims at helping farmers in detecting the early stages of diseases in animals today, and theft of livestock and domestic or farm reared animals. It is a system used to monitor and diagnose the early stages of diseases in animals using sensor technology and locate the whereabouts of animals using RFID Chips, GIS ,SMS Pincode Web App and GPS mapping algorithms to locate the whereabouts of the animals in a given geographical area. 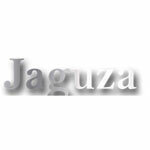 Jaguza’s aim is to establish national wide network for detecting animal diseases and handling the dangerous outbreaks of diseases. The system uses sensor technology to detect the early viral phase of FMD for example which is crucial before the disease becomes more contagious. Uses leg or neck tags for accurate movement and mobility monitoring. Neck tags also monitor eating time, identifying sick cows sooner. 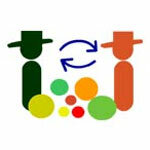 Reports can provide information by individual cow, group or herd. Signal sent to the receiver using a long range antenna/Bluetooth Disease events database. Under the Disease Events tab, jaguza enables users to easy access and retrieves information on animal disease outbreaks/cases throughout the world according to user search criteria (disease, date, species, location, etc). Data can then be easily exported into two available formats (PDF and Excel) for further analysis. Mapping. The mapping tools allow to select outbreaks/cases from the database and represent them graphically as charts (by time or by location in the real time) or geographically on a map that can be tailored by adding optional layers, such as livestock population, biophysical layers, socioeconomics, animal health, trade. Resource Centre/Disease Centre. This section allows to search for technical material such as bulletins, reports, newsletters, manuals, guidelines, etc. , according to different criteria. It allows users to search information related to the current situation, epidemiology, diagnoses and control. The LandInfo App allows individuals and organizations to use a smart phone to determine land potential at a point specific location based on local and global knowledge and information about the potential of similar types of land. The LandInfo App currently operates on Google android platform, connected to more sophisticated web tools that can be accessed via personal computers and linked with other decision tools. The App integrates climatic and topographic information from existing databases with targeted field data collection of knowledge and information to predict relative productivity, soil erosion and suitability of crop and forage production for a given soil location. 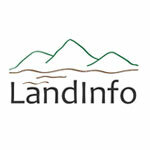 The LandInfo App allows users to enter point-specific information about soil texture, topography and easily observable soil properties, and in turn obtain site-specific soil and climate data including soil types, temperature, rainfall, estimated amount of water in the soil, aridity index, and growing season length. It also predicts the suitability of the soil for certain crops and pasture as well as the vulnerability of such soils to erosion menace. The LandInfo mobile App is an open access App which can be downloaded free of charge from Google play on the android platform. mFarms is a comprehensive web and mobile based communication and management platform for agribusinesses. Geo-referenced value chain actors are linked, they communicate with each other and track transactions of goods and services among themselves, extension agents provide progress reports using android phone, farmers receive agricultural tips and extension information on their simple mobile phone via SMS or IVR (voice messages). mFarms for the management and monitoring of subsidized agro-input fits into the second event. It enables government to track in real time the distribution of subsidized fertilizers and seeds and identify trouble spot while ensuring the allocated budget and quota are adhered to by importers. Agro-dealers are able to track their stock, purchases, return products, supply in real-time. Through mFarms, combined solutions are used to make extension services more effective and efficient: extension agents, direct information to farmers and FBO via SMS and voice message; farmers have access to sustainable structured markets even before harvest, subsidized agro-input distribution and monitoring is made efficient and effective. Aggregators and processing companies often are unable to manage the production activities from all the farmers supplying them raw materials. With mfarms for subsidy programm, all stakeholders from importers down to farmers are georeferenced in a centralized database, quota are tracked, distribution is monitored in realtime, stock, sales, supply level are accessible in realtime for government and each agro-dealer has access to its own transactions. 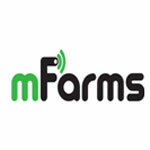 mFarms generates revenue through annual subscription, customization, training, credits for SMS and IVR messages pushed. While agro-dealers are charged in Ghana, Rwanda agro-dealers are yet to start paying. The cost is currently covered by donors. The mLouma platform is based on Web, SMS, and USSD. It allows farmers to be able to post their crops and have the market price information in real time. Product operation is very simple and has been designed in response to numerous discussions with end users. The producer submits his product via SMS, Web, USSD. 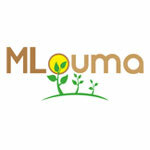 This information is visible and accessible via www.mlouma.com. The buyer shall consult these offers by using the same channels mentioned above. When he finds a product that interests him, he places the order. Once both players reach an agreement, a carrier will be contacted for delivery. The USSD service allows us to reach any farmer living in remote areas without Internet access. Our innovation has positioned itself as a regulator between producers and buyers of agricultural products. The main problem that we identified and are trying to solve is the marketing of agricultural products in Senegal and through africa in général. There is a lack of transparency on agricultural commodity prices in markets and this lack of insight damages the smallholders who are struggling to sell their products at better prices. We target farmers, buyers and carriers. The start-up is based in Dakar, Senegal, West Africa, and we aim to deploy our platform into more than 15 countries of Africa in the next 5 years. The business model is based on subscriptions – USSD subscription for a week, a month, 6 months and 1 year. Any subscriber can post information about his crop on the platform, but also can consult the product and price information. There is also a web subscription that is afordable and accessible. 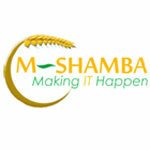 M-shamba is a platform that provides reliable agronomic information to the farmers, connects the farmers to service providers and market opportunities in their location. M-shamba also has a platform for farmer group organizations/associations/co-operatives, NGO’s and enterprises working farmers where they can easily manage the farmers and farming activities. The channel for service delivery is mobile and web. The format of content delivery is text, voice, app and video. M-shamba is addressing the challenges of information flow from the research institutions to the smallholder farmers and also the problem of market access to the smallholder farmers. Challenges of inadequate extension workers is also effectively being addressed by M-shamba. The platform provides a robust extension tool that organizations use to interact and provide services to the farmers on real time. Farmers, organizations,VAS b) Revenue generation: Subscriptions, embedded SMS charges, licence fees and Freemium c) Stage of deployment- Scale (in Kenya) and Pilot (Tanzania). Ability to pull valuable data from the farmers, have real-time communication capabilities, ability to be used on any language. Participatory Media Approach integrates innovation system strategies video, radio and other ICTs in adapting to the context and to the field. 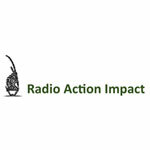 The selection of radio partners is based on rigorous criteria such as limited number of communities of practice and studies for the determination of the themes of the radio programs and video and the strategy of use of ICTs. The organization of actor’s capacity building workshop for the design of Media Programs and Participatory monitoring plan relied on the Self Coached Training (AFC) plan, the realization of participatory Media campaigns (CMP), the dissemination and rebroadcasting of radio transmissions and videos, the realization of rigorous monitoring, assessing qualitative and quantitative impact of programmes on the knowledge, attitude and communities of practice and stakeholders involved in the implementation of the project and the documentation and sharing of good practices. The CMP is based on new knowledge used or to be used. 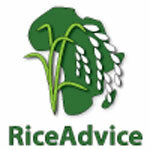 RiceAdvice is a bilingual Android App for improving livelihoods of rice farmers in Africa. It aims at guiding farmers in increasing their rice production level based on local conditions. Depending on the location, environmental conditions, rotation, cropping practices, expected sowing date, available on-farm nutrients, desired yield increase, costs of fertilizer and expected rice market price, a farmer can maximize yield and or profit. Furthermore a farmer gets a plot based fertilizer application plan and a short list of good agricultural practices. RiceAdvice is primarily designed for smartphones and tablets. The App can be used in the field in off-line mode. From time to time, an internet connection is advisable to synchronize data with the central database server. It is based on solid amount of datasets and calculations. It can be used in the field in off-line mode.The App will for the time being provided free of charge (donors funding). There may be a point where we have to think about additional revenue generation. The deployment stage is that the App is ready for public release. We will continue with adding additional functionalities and release updates. Rural eMarket is a Market Information system. It is web based and can be used on any device. It also has an SMS functionality. It targets the small holder farmers in remote areas with very low bandwidth. It provides information such as price, product availability in different geographical areas to help farmers take decisions. The platform is multi lingual and currently being supported by donor funds. In near future, farmers will have to pay an annual fee, probably through farmer cooperative. It is currently at the scaling stage of deployment. Secondly, Integrated Agricultural Productivity Information System (ISAP) is a web based complex system that can be used on any device. ISAP is an invitation to folks involved or willing to be involved in farming to start from where they are. It targets particularly the youth. The application offers different entry points – plants/crop production, agronomic advises/tips, nutritional info, market information. It is also multi lingual, multi-purpose, integrates many interrelated aspects of agriculture-economic-health dimensions and accessible on any platform. It is self-funded project resulting from wide demand study. Expectation for quick ROI and will probably be used as a paid on annual basis service. It is currently under development and at pilot phase. 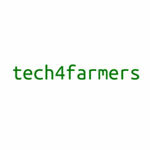 tech4farmers operates a digital commodity exchange and warehouse receipt system (75 Businesses + 6,300 farmers) where agricultural products and inputs are traded since 2012. tech4farmers is projected to connect 1,712,788 farmers to markets by 2020. A warehouse receipt can be used to collateralize grains, cereals or fresh food placed by a named depositor into a secure storage environment. This type of financing mechanism can ensure structured trade and promote produce bulking because farmers, cooperatives and agribusinesses can freely trade the receipts on their computerized exchange platform. Use of the platform helps to promote transparency in value chains, mitigate against side-selling and improve product traceability.